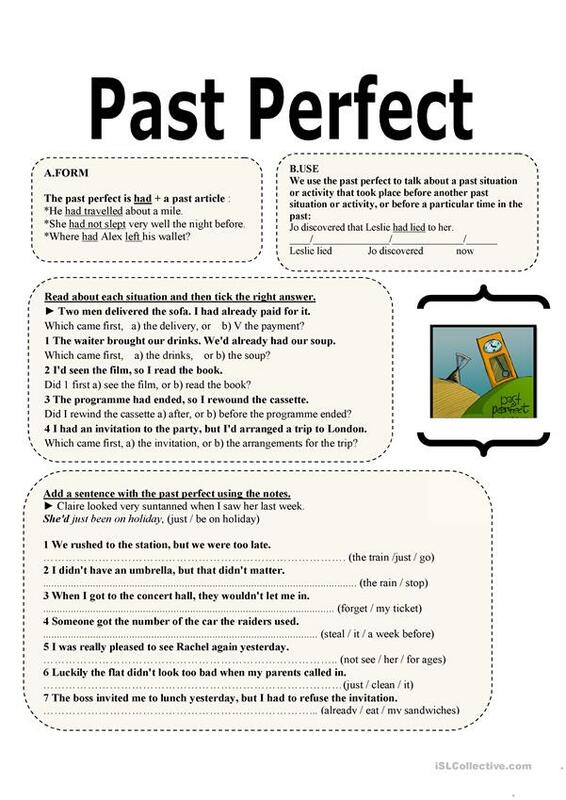 Present Perfect, explanation, form and use of the tense, followed by two exercises. The present downloadable handout is meant for adults at Pre-intermediate (A2) and Intermediate (B1) level. It is valuable for revising Present perfect tenses in English, and is useful for developing your pupils' Reading and Writing skills. It centers around the vocabulary topic of Time.